The first collection of darkly humorous short stories from the author of To Rise Again at a Decent Hour. ...a magnificent black carnival of discord and delusion ... Anxiety, along with its fraternal twins, self-consciousness and humiliation, are the default inner states of Ferris’s characters, who find their uneasy minds exacerbated by perilous new forms of modern communication ... For some accomplished novelists — and Ferris is one of the best of our day — short stories are mere doodles, warm ups or warm downs, slight variations on themes better addressed at length. In culinary terms appropriate to the collection’s title, appetizers. Not so for Ferris. 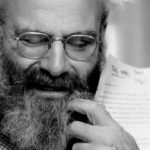 Dynamic with speed, yet rich with novelistic density, his stories make The Dinner Party a full-fledged feast, especially for readers with a particular taste for the many flavors of American crazy. The Dinner Party is filled with men who become so unhinged you're tempted to call a carpenter ... Ferris' narratives usually proceed from the ordinary to an uncomfortable and sometimes bizarre escalation of strangeness or disaster. The overarching message is that stability is elusive and certainly not a given ... Ferris finesses the line between tragedy and comedy, and his sly wit often surfaces in sarcastic, offbeat ways ... As e.e. cummings so succinctly put it, 'Unbeing dead isn't being alive.' Ferris' unmoored souls struggle with living death — along with pathological insecurity and fear of abandonment. 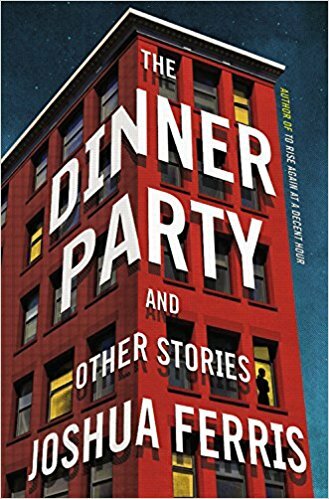 While the stories in this book don't particularly advance this talented writer's career, The Dinner Party provides a fine showcase for his work. Even if later stories aren’t quite as inspired, they are never dull; as the collection draws on, though, Ferris’s themes, so powerful when encountered in the individual stories, begin to overlap and repeat ... There are a lot of jilted young men in here, awash in their own pain and not particularly interested in what their own roles might have been in the dissolution of their relationships. When reading them in one volume, a reader might hunger for the tales to be as wide-ranging in their empathies as they are in their storylines. Then again, why shake things up when these stories are so good at capturing this particular sort of funny, panicked and melancholy man? ... Ferris is an incisive observer, and his descriptions of even the most quotidian situations are elegant and fresh. What did you think of The Dinner Party?